RSS | GreenandSave.com | Green News, Tips, and Services for saving money, energy and the planet. GREENandSAVE RSS feeds allow you to read through the articles you want, at your own convenience. Using the RSS reader of your choice or by integrating the feed into your blog (or online personal journal), you can access the latest GREENandSAVE articles in your favourite environment! Generally, in order to view our RSS feeds on your computer, you will first need to acquire an RSS Reader or a RSS Web module. To add a GREENandSAVE RSS channel, click on the appropriate button, copy the URL and paste it into your RSS application. It's simple! Get your RSS feeds here! Just click on the orange RSS button for the feed you want, copy the URL from the address bar and then paste it in the appropriate field of your RSS Reader to instantly add GREENandSAVE articles to your RSS application. Articles are automatically updated every day, 7 days a week. To access an RSS feed using IE or Mozilla web browser, view the RSS link of your choice and click the'Subscribe' button. 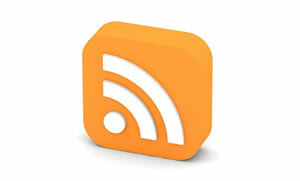 Accessing an RSS feed is just like podcasting, in that you subscribe to a feed. The difference between RSS feeds and podcast feeds is that you receive text content instead of audio content. From all across America, homeowners, installers, architects, and builders have provided us with their insights on how they have saved money and the environment. Our GREENandSAVE team reviews the submissions and then posts the information to share with you. There are many News Readers available on the web. Some can be downloaded for free, while other programs will charge for more customizable options. Furthermore, certain readers will work better on different operating systems. You will need to take these factors into account when you choose your software. Please note that these links are provided solely as a convenience to you and not as an endorsement by GREENandSAVE of the contents of such third-party web sites.